Hello everyone. This is my first writing about anti-racism from a white, American perspective. I’m writing it in response to calls from people of color for white folks to educate each other about how racism continues to operate, and for committed white anti-racists to support each other in our learning and unlearning. Many calls to the general public, and one from a friend who made a semi-serious remark, “you should write a book on white anti-racism”. The people I am addressing here are other white people (mostly Americans) who seek to resist racism, and who understand that while people who have directly experienced racism are experts on how it works, we can still learn from each other if we cast aside our egos and our fears of being seen as “not good enough allies”. I welcome critiques from anti-racist people of color who decide to read. If on the other hand you’re someone who doesn’t like to talk about race, then unless you’re willing to learn that historical racism has resounding effects and the status quo is still racist, this post is not for you. In particular if you’re a white person and you don’t like thinking about race because you are worried about feeling like a bad person, then please go instead to this comprehensive resource for all the good white people. How does what we eat relate to gender issues that persist today? What does it mean for women to be turned into “meat,” as in the Carl’s Jr. advertisement? How do both women and animals become “meat”? How does this relate to racism and violence against women? Why would someone write a book called Fifty Shades of Chicken? Answer these questions and more this Thursday with Carol J. Adams at “Sexual Politics of Meat: Race, Gender and Food” in Toyon Lounge. Dinner and dessert will be served. Click here to RSVP. 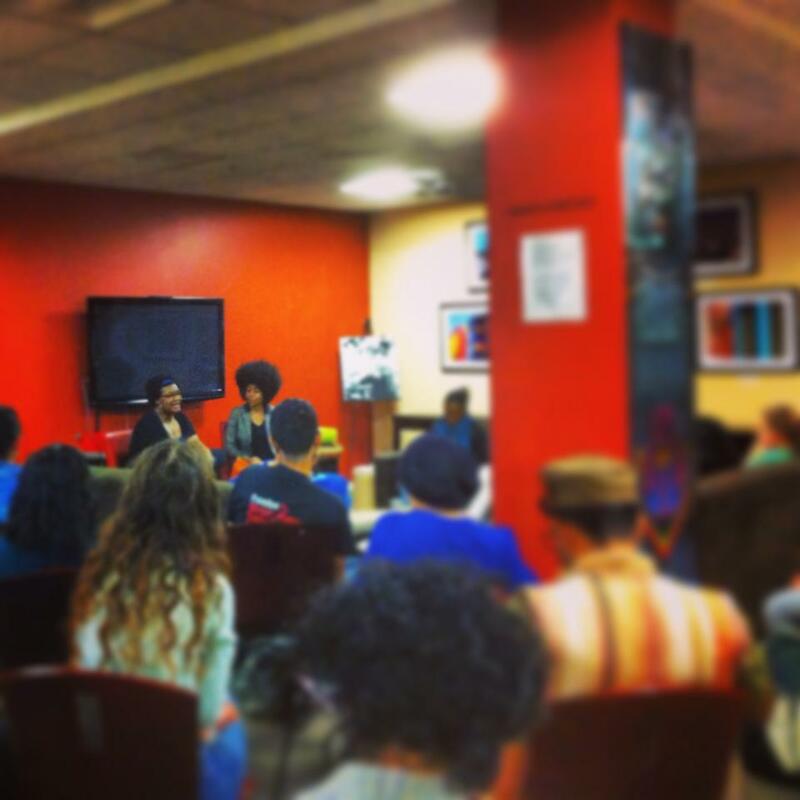 Last week, STATIC hosted a talk with Latoya Peterson, the owner and editor of Racialicious.com. Latoya, who is currently a Knight Journalism Fellow at Stanford, addressed a large audience in El Centro Chicano. She discussed her experiences with writing, particularly the successes and challenges of writing about popular culture from a critical feminist and anti-racist perspective.